Need to go into zen mode? 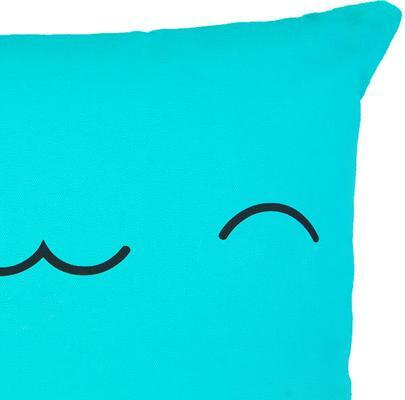 The Yo Kawaii Cushion Friend - Kikii is not only cute but she comes in a calming turquoise shade that makes you think of beautiful pristine oceans from far away. Beaming with a sheepish smile, the Kikii is part of a collection. You can grab her or with her friends and inject some bold colour inside your living space. Place this on your sofa or inside your bedroom. The colours would naturally pop if you place it against light coloured fabric. You'll also have a grand time seeing Kikii's cute little face each time! 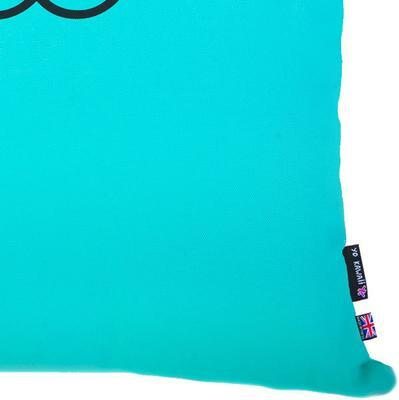 The cushion is crafted using 100% cotton cover which is comfortable to hold and touch. 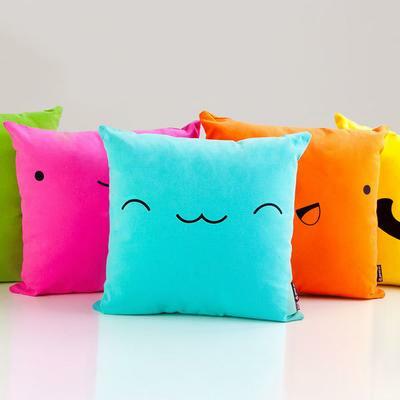 It also comes with a premium polyester filling, perfect for hugging and squeezing anytime you like. 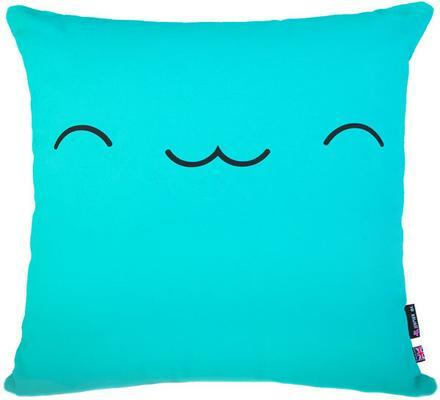 Inspired by Japanese pop culture, this is a British made cushion that seeks to add some spice into your living space. Go ahead and grab Kikii. Also check out her friends.